The miseries of the Great Depression hit Māori workers particularly hard. Mass unemployment, poverty, slave-labour like conditions in relief works, poor housing and slumlords profiteering from renting out hovels – this was the fate of many hundreds of thousands of workers across the country. Māori workers, still concentrated in rural areas and in some of the most isolated and deprived parts of the country, suffered particularly intensely. And, in addition to their economic hardship, they had to face open discrimination and racism from the state and its agencies. 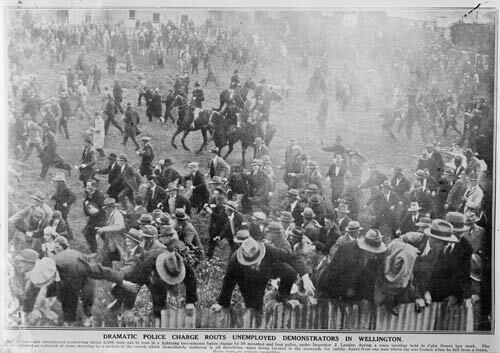 Unemployed workers fought back, and the early 1930s saw pitched riots in Auckland, Wellington and Dunedin. Crowds smashed windows and fought with police in Queen Street and up Cuba Street. Labour’s first victory came in these years, followed by its second, more emphatic win on the back of social reforms. How the Communist Party of New Zealand responded in its paper, the Weekly Worker, to the racism Māori faced offers a fascinating insight into how organised militant workers can take up the question of oppression. A few articles from the paper in 1934 and 1935 give a snapshot of the Party’s organising. The Communists went into the 1935 with four key demands: (1) for the improvement of the conditions of the toilers; (2) against fascism and war; (3) for the improvement of the conditions of the small and middle farmers; and (4) for race equality. Their demands for race equality were specific: (1) ‘equal treatment of Maori and pakeha in unemployment relief, wages, and social services.’ Māori workers were given less relief than Pākehā workers, and often denied access to state schemes at all. The Workers Weekly took this issue up regularly with articles on its front page. (2) ‘The abolition of all repressive legislation against the Samoans, and the legal recognition of the Samoan Nationalist Movement, the Mau’ and (3) ‘Withdrawal of the banishment against the Samoan leader, Nelson, and the liberation of all Samoans imprisoned for Mau activities.’ Samoa at this stage was still a New Zealand colony, and the Mau had suffered repression (including troops firing on peaceful demonstrations) for their democratic campaigning. 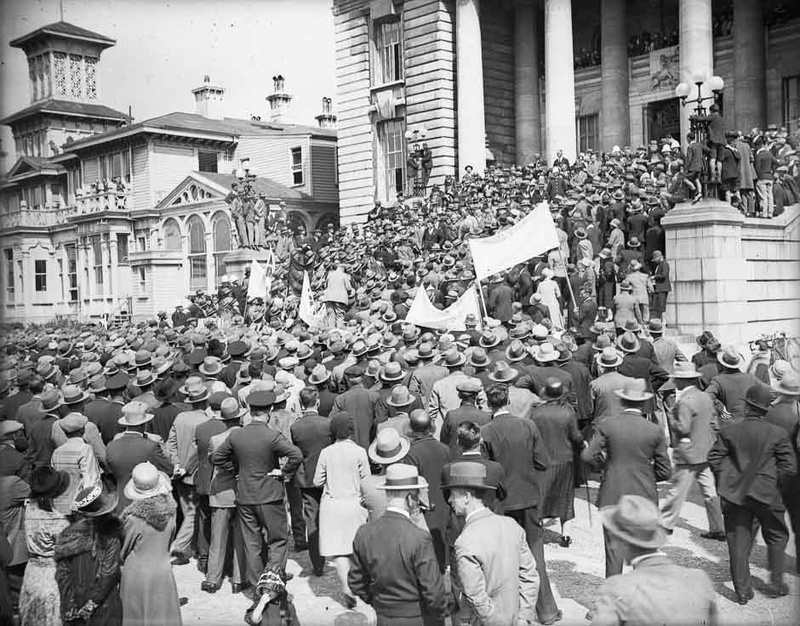 The CPNZ took up their demands in New Zealand itself. (4) ‘Self-determination for the Maoris to the point of complete separation, and Samoa for the Samoans.’ This last slogan echoes the Mau demand Samoa mo Samoa, and the Communists, while not advocating separation between Māori and Pākehā workers, argued that unity in the working-class movement could only come about if Māori had their land rights and their right to self-organisation recognised. The exchange reads as stilted and artificial today but, whatever its literary weaknesses, there is no doubting the sincerity and seriousness of this anti-racist political project. These articles weren’t hidden away in the columns, either, but on the front page of the Worker. Alongside these theoretical pieces, the Worker raised a series of articles on immediate questions, many submitted by worker correspondents. These covered everything from the lack of district nurses in Māori communities to poor housing to discrimination. It’s important we don’t romanticise this past. The Communist Party was by the 1930s no consistently revolutionary party, if it ever had been. Motivated by a loyalty to the twists and turns of the Stalinist counter-revolution in the USSR, it filled the pages of its publication with boring and bizarre claims about the Soviet Union (‘first in the world for tractor production!’), and engaged in stupid and sectarian attacks on Labour Party supporters for years before, without warning, switching round and uncritically following Labour from the right. These lurches in direction were accompanied by an increasingly bullying and stifling internal culture. If the CP won Māori workers to Communism through their anti-racist activity – and many were certainly recruited, as the pages of the Worker show – other parts of their internal life and political analysis lost as many again. The Communist Party’s Stalinism is not our model. But it was a party that brought together many of the most militant workers, and many determined fighters from the most far-seeing and class-conscious sections of the working class, what we call ‘the vanguard’. Its efforts fighting racism, then, show us what the workers’ movement is capable of even in the most difficult circumstances, and illustrate the kinds of approach – combining practical questions with theoretical analysis – that can win workers to an anti-racist politics. The images of the riots in Cuba Street and the unemployed workers’ protest are from Te Ara, the Encylopedia of New Zealand. The Weekly Worker masthead is from a private collection, and is reproduced here with permission and our gratitude and thanks.